We have been slooooooowly getting organized at our new house. It always takes so long to feel moved in and totally comfortable at a new house. I heard the other day that it takes at least two years living in a new location to finally feel acclimated and at home. We’ve only been in Colorado 9 months so I guess I should stop being so hard on myself. 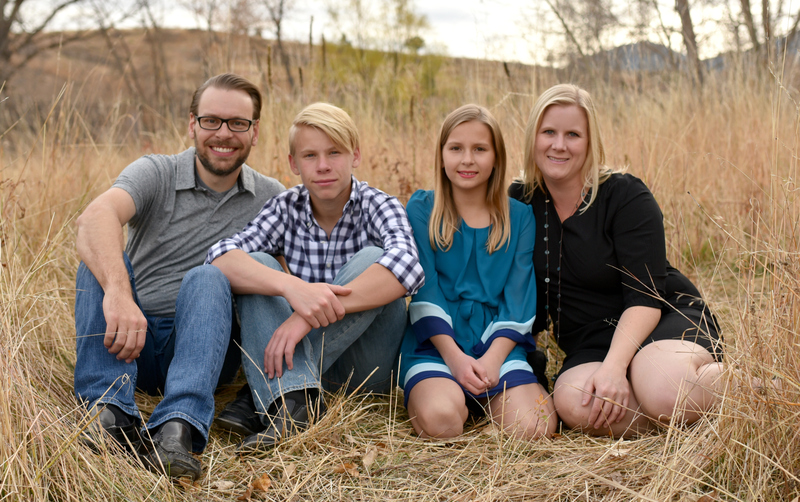 I’ve really been focusing on making our kids feel settled in, totally comfortable, and “at-home” since the move so I’ve been focusing a lot of my energy on making sure they have friends and are involved in the community. Also, making their bedrooms feel organized and like their own space. 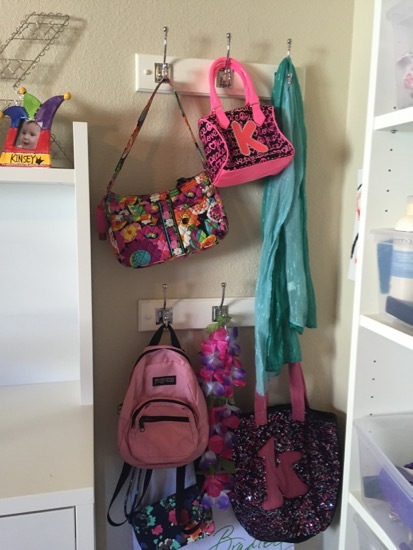 Kinsey’s room needed additional organizing for all her bags and scarves. 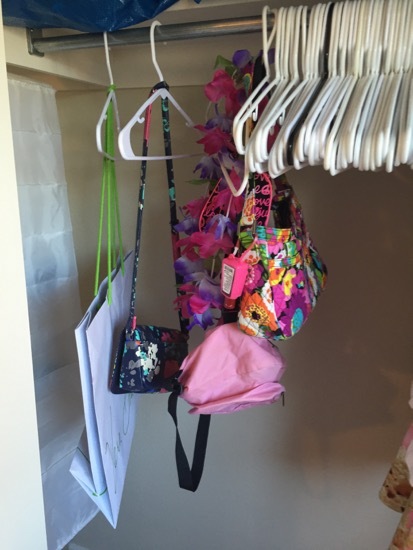 Here is a small handful of her bags hanging in her closet. The rest were in a box. Not the greatest way to organize! 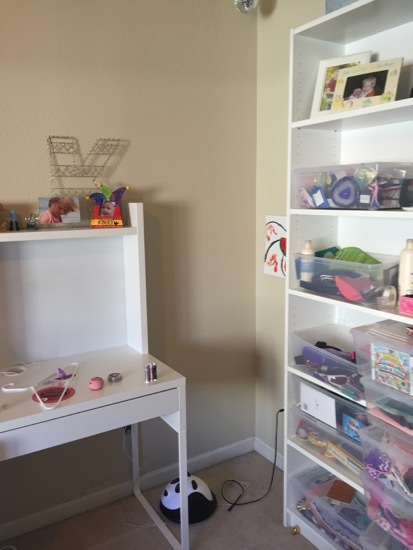 I was going to hang them behind her bedroom door, but after some consideration I felt like the bulk of the bags wouldn’t allow her door to open fully, so instead I decided to hang them in this little cove between her desk and shelf. In no time at all the hooks were hung and loaded with all her gear. 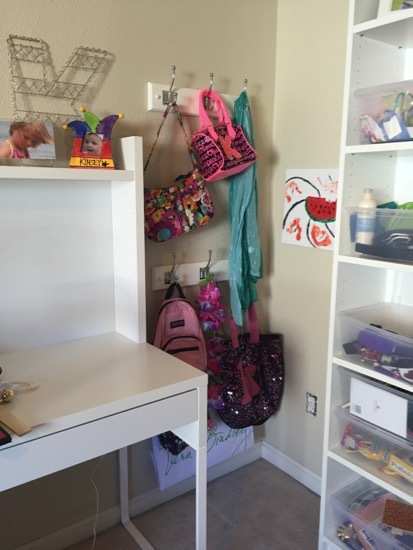 These have been a major organizational addition to her room. 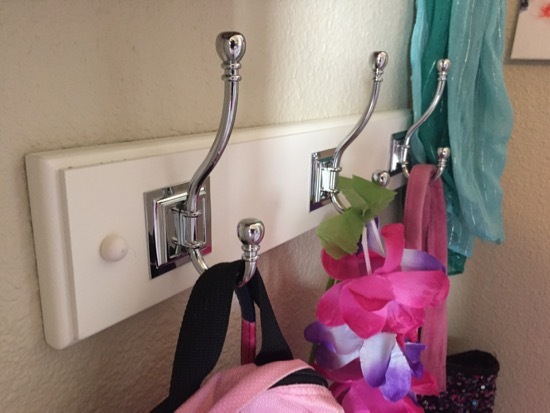 Not only do they serve a purpose, they also just look cute and add a little coziness to that otherwise empty corner in her room. I love the white and silver combo. It’s perfect for a tween going on teenagers bedroom. 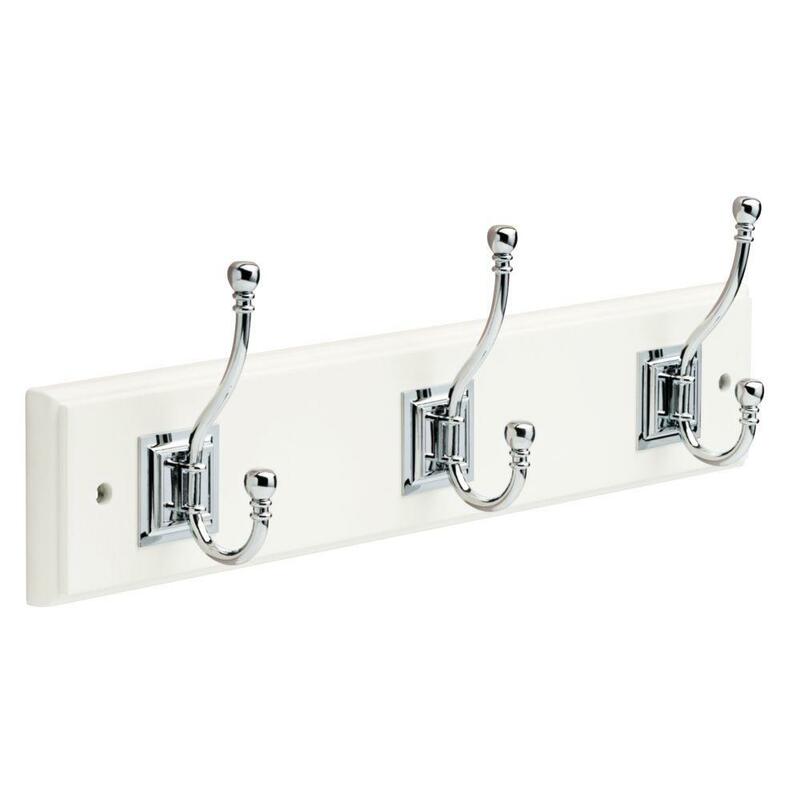 You can find the wall hooks here but I purchased them for at least $5 less in the store than the online price listed. If you want them, check your local store first before ordering them online to save some money. It’s a garbage can! I’m pretty sure we got it at The Container Store. Great question! Let me do some research and create a roundup post for you!